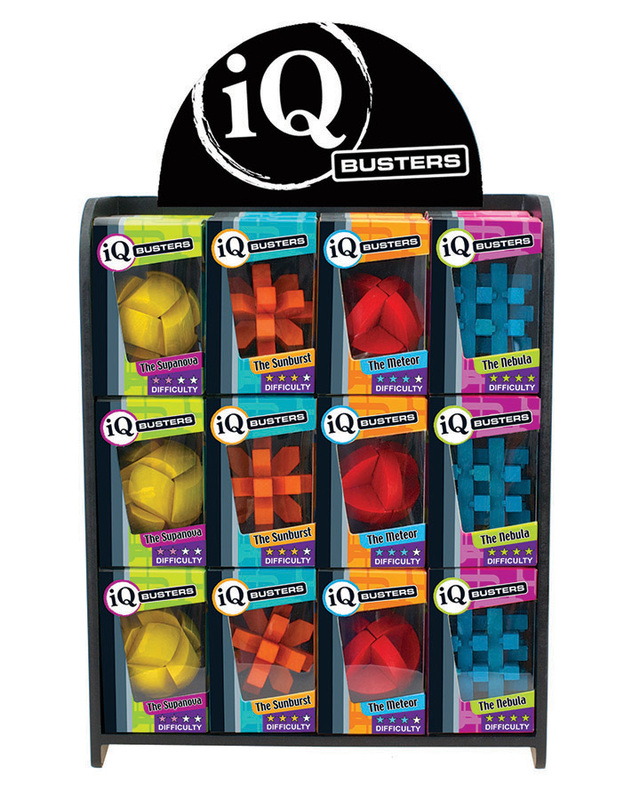 IQ Busters Chroma Puzzles are classic wood brainteaser puzzles that come in fun new shapes and feature bright new colours. You'll go bonkers for them! Case Pack Display of 24 Width 3"